Metro Denver Green Homes Tour! ﻿A self­-guided tour of your sustainable community! 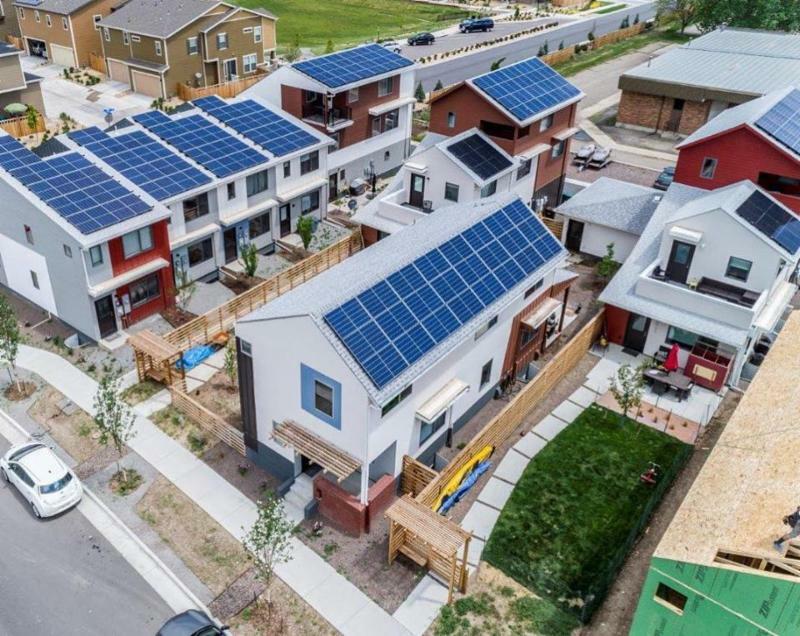 ﻿ Curious about how Colorado homeowners are saving money and resources while helping to slow the effects of global climate change? During the annual Metro Denver Green Homes Tour, area residents have the opportunity to visit a wide variety of homes to see firsthand what individuals can do to create pleasing high-performance home environments. The Geos Development, home of Ralston Creek cohousing, will be on the tour and members of Ralston Creek will be on hand to answer your questions. We invite you to participate in building your dream community. Ralston Creek CoHousers have a two-step process to membership. Come to some events and get to know us. If you are interested you can become an Explorer. As an Explorer you will be invited to join us for meetings, social events, and one-on-one conversations, all with the goal of you getting to know us, getting all your questions answered, and allowing us to get to know you. If you are interested in moving forward to Full Membership we can tell you more about it. Please visit our web site, Ralston Creek Cohousing for more details. Stay connected with us through social media!